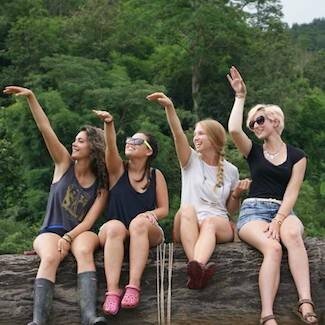 As world-travelers ourselves, we're proud many students choose Loop Abroad for their first trip abroad - and sometimes their second and third! If you've never traveled abroad before, you're probably a little nervous. Don't worry! While part of the fun of travel is encountering unexpected things, we'll do whatever we can to prepare you for your Loop Abroad experience. In order to travel abroad, you will need a passport. Information on any required visas or vaccinations will be included in the information you receive upon admission. 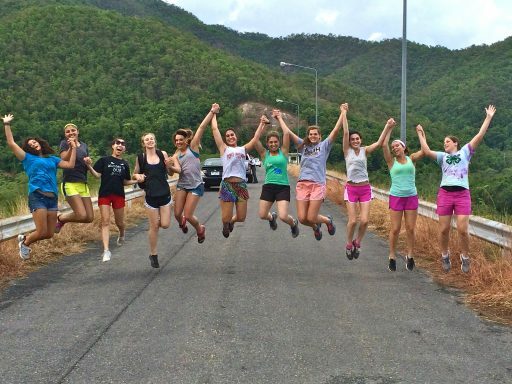 Most of our two-week programs offer a group flight from the US (you can find whether a group flight is available, as well as the estimated cost and departure city on each program page) For programs with a group flight, you will all fly together to your program location, where our team will be eagerly waiting at the airport! For programs without a group flight option, we can help you choose an appropriate flight and our team will be at the airport waiting to meet you when you arrive! You will never be on your own during your program. And we will be available before your trip to answer questions about everything from what to pack to what to wear on the flight to how much spending money to bring. You will find that your program location is exciting and different, but that it is easier than you might think to adjust. 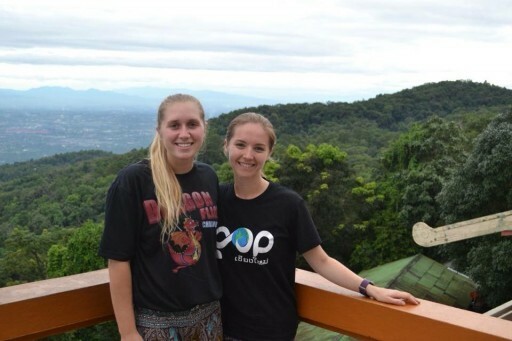 Check out the stories below from a couple of our students whose first trip abroad was with Loop Abroad! 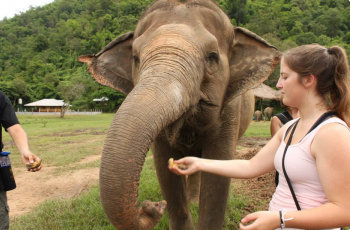 "The Loop Abroad Vet Trip of 2013 was my first time on an airplane or out of the country at all! Looking back, I’m so glad my first time was with Loop. 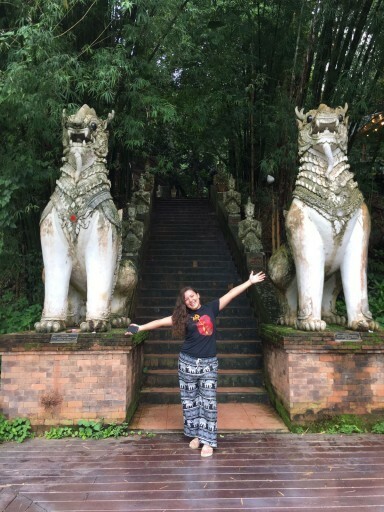 With multiple flights and layovers endured while traveling to and from Thailand, I am a traveling pro." 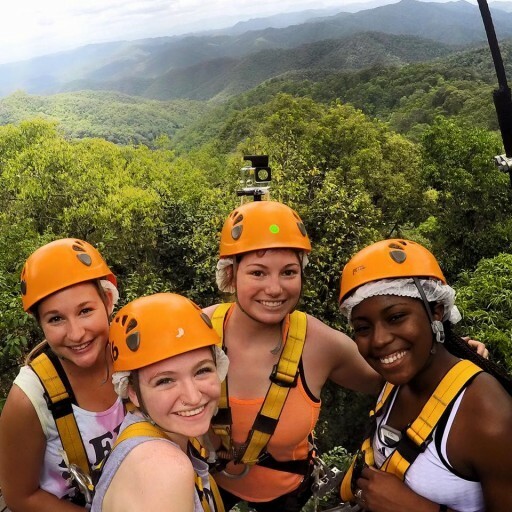 "The program was outstanding in so many ways from answering all my questions before I left to keeping in contact with my parents to showing us so many different parts and angles of the culture to always making us feel safe. If given the chance again, I would accept in a heartbeat. This experience changed my life in so many ways and so I met so many people that I will never forget." Looking for the perfect study abroad trip isn’t as easy as shopping on Amazon. But we still have plenty of reviews for you to read. 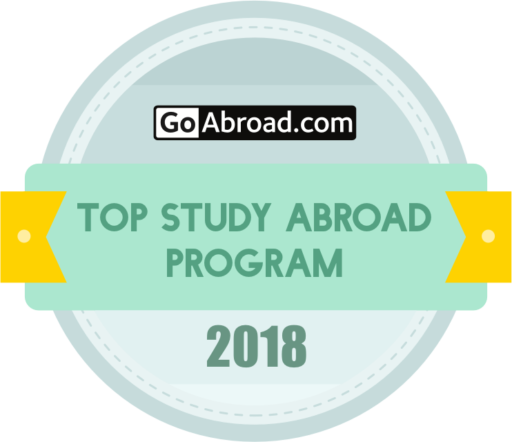 Check out lots of reviews of our summer programs at Go Overseas and Go Abroad, two independent organizations that collect student reviews. We are happy to continue working hard to improve our programs each year based on student suggestions. Over 125 students and parents shared reviews of their Loop experiences on our Facebook page too! It’s the best way to find out if a Loop Abroad trip is right for you. 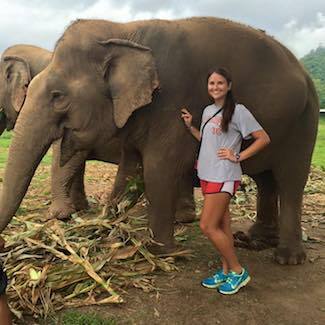 When choosing a study abroad program, there’s a ton of info available. Sometimes the most helpful thing is to talk to someone who’s been there before. 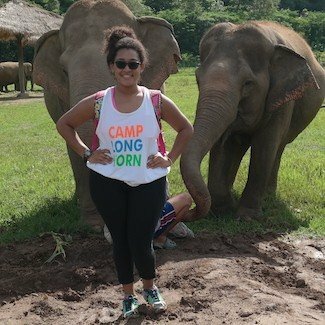 A Loop Abroad alumni would be happy to talk to you and answer your questions. Was it fun? Was it safe? What should I pack? Read the stories written by Loop alumni below. Keep in mind that itineraries vary by program and develop from year to year. Your experience may not be 100% like the experience of our alumni – every program is unique! "All of the staff were great! They really focused on making our experience safe, meaningful, and fun! 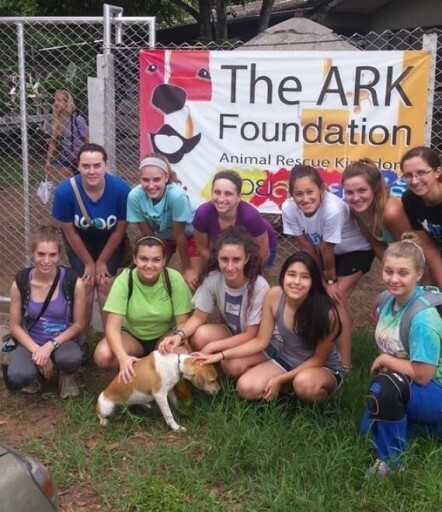 The vets were very knowledgeable and did a great job teaching us and helping us practice the skills we learned." 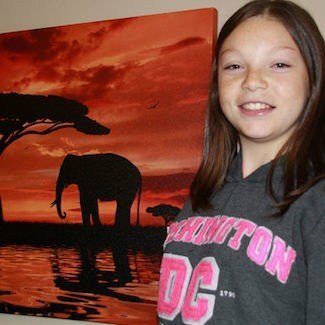 "In order to pay for this adventure, I did a lot of fundraising, which ended up paying for more than half of my trip.... 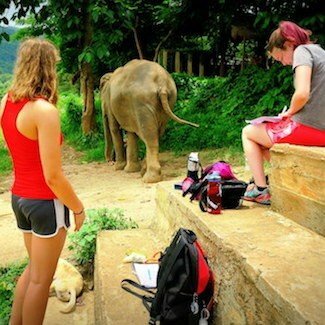 This program is a way to bring students who come from all over and are all different together with the common goal of helping these animals and having an adventure. 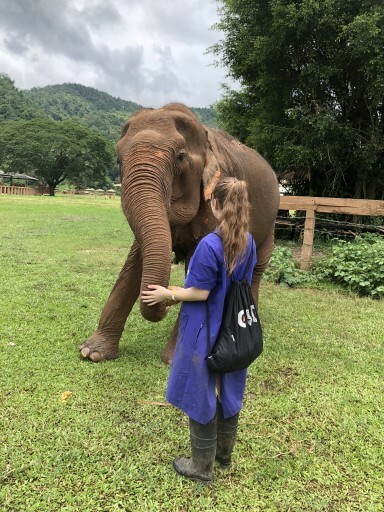 "As we left Chiang Mai, I could not help but to be sad to leave behind not only the beautiful city we were able to explore, but also the people and animals we had met along the way." 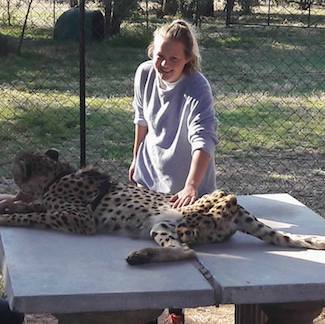 "The College Veterinary Programme and it was the best decision I have ever made. 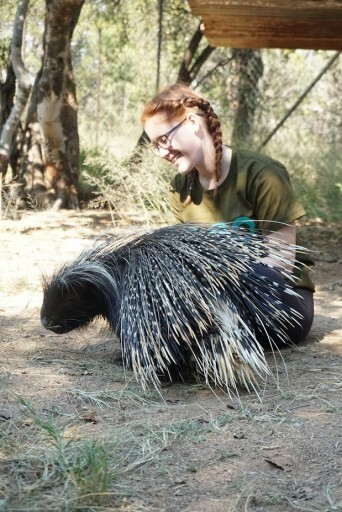 My passion for animals grew at a very young age and it has always been my ambition to go into an animal based career." 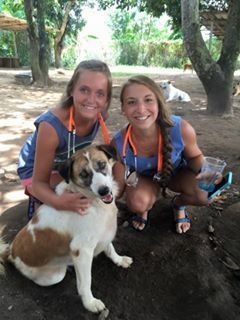 "All of my fellow group members were super personable and shared a common passion – animals. 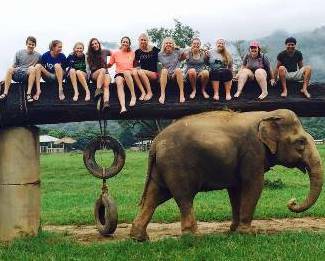 I made many life-long friends from around the world on my trip that I hope to see again soon." 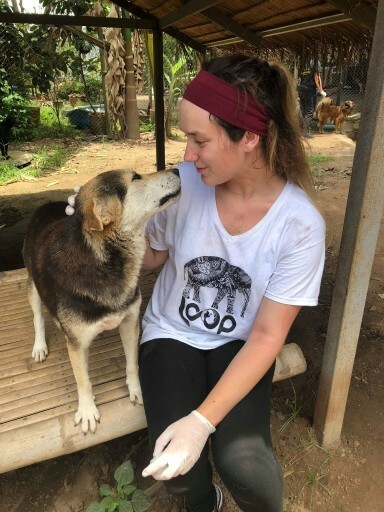 "I began looking for an abroad pre-vet program that I could participate in that would allow me to have a substantial amount of hands-on time with animals while giving me the opportunity to simultaneously explore a foreign country." 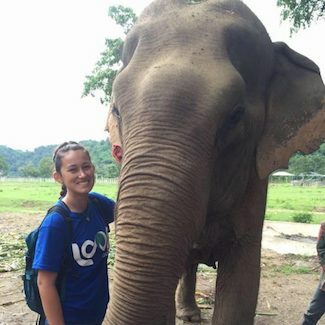 "My journey with Loop Abroad began one day when I was scrolling through my FaceBook newsfeed. I clicked on a post and I am so happy I did!" "This was my first time traveling abroad, and it was also my first time traveling without my family." 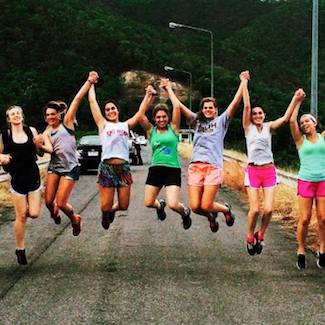 "Loop Abroad really provided me with an eye-opening and life-changing experience." "It’s really easy to make friends on the trip, even for shy and quiet people like me. I made some amazing friends who I still keep in touch with." 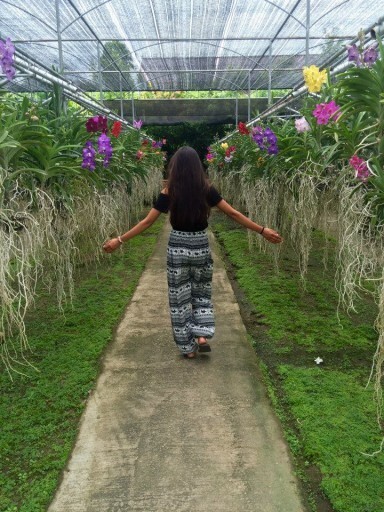 So you desire to see the wonders of Thailand, eh? Well let me tell you, you are taking a step in the right direction. Traveling thousands of miles with Loop Abroad this past summer to discover this magnificent country was hands down one of the best decisions of my life. 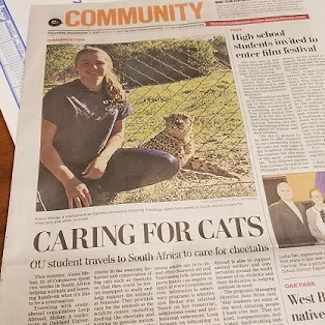 Our students are big news when they return home from their trip of a lifetime! 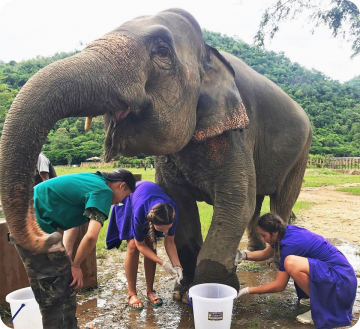 The American Veterinary Medical Association calls Loop Abroad’s College Veterinary Service Program in Thailand ‘A dream come true’… and we couldn’t agree more! The AVMA is the nation’s leading advocate for the veterinary profession, an organization that protects, promotes and advocates for the needs of all veterinarians and those they serve. See their post here. 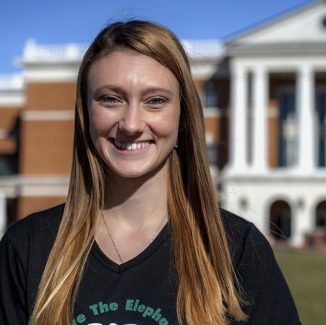 Ansley Still, Loom alumna, returned to campus to make a strong case against elephant hunting in her piece – “Elephant Hunting Isn’t Conservation” – published in The Current, the Eckerd College newspaper. 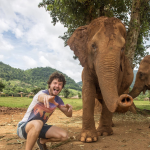 Remember when @Daxon AKA Allan Daxon AKA the animal selfie king traveled with us to Thailand on our Thailand 101 program? Check it out on his instagram page. 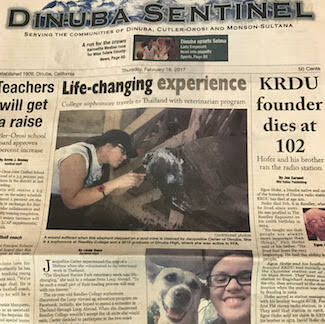 Learn more about the amazing participants we’ve had in our programs, and check out stories about our students from print and the web below. 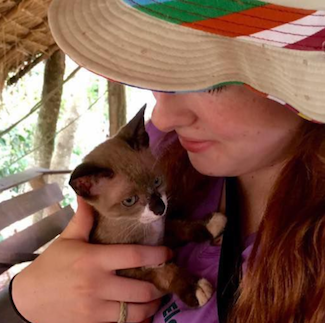 "It was also an honor to learn about the culture and volunteer for the local communities." 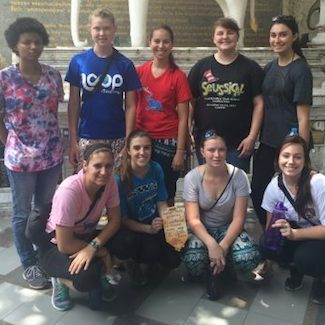 "It was amazing being submerged in the culture and learning all about Thailand." 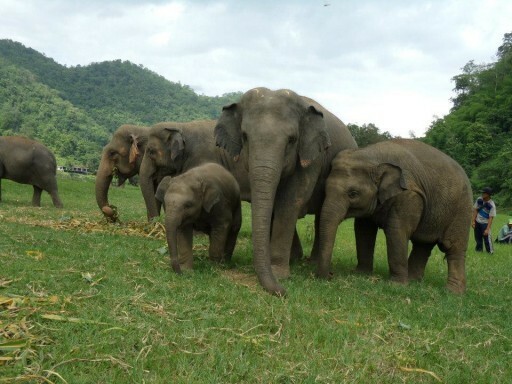 "We learned how to care for elephants in a place where they are in a more natural habitat than they used to be." 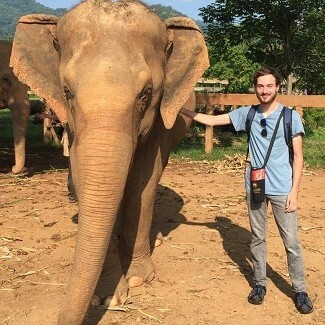 "Spending a month in Thailand was an experience one young Winnipegger just might remember longer than an elephant." 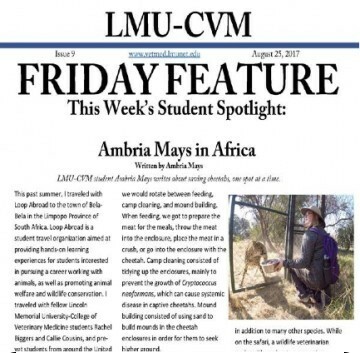 "Are you curious about veterinary medicine or wildlife conservation? 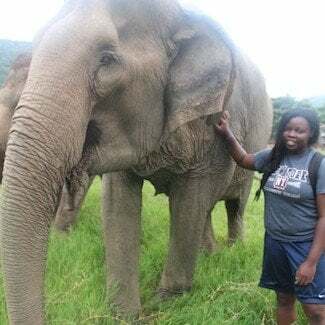 Join Delaware Valley University to hear a guest lecture from Dr. Erica Ward, a veterinarian who has experience caring for elephants in Thailand." 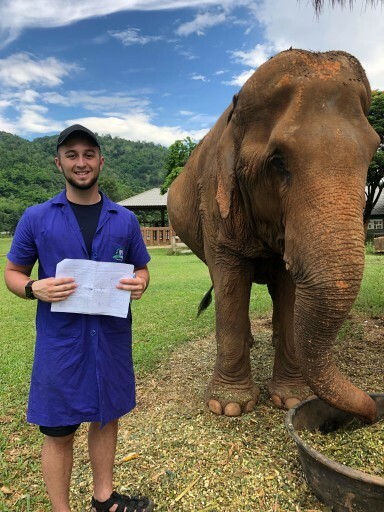 "Being in the dog clinic and doing rounds with the elephant veterinarian really helped me decide what I wanted my future to look like." 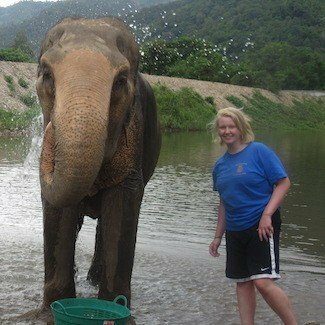 "Tell people you went to Thailand and chances are you’re going to get asked if you rode an elephant. Haley Ochocinski has been there twice and the answer is no, she hasn’t, and she’ll be more than happy to tell you why not." "I don’t have words to describe what we saw there, what that experience was like. It never really leaves you." 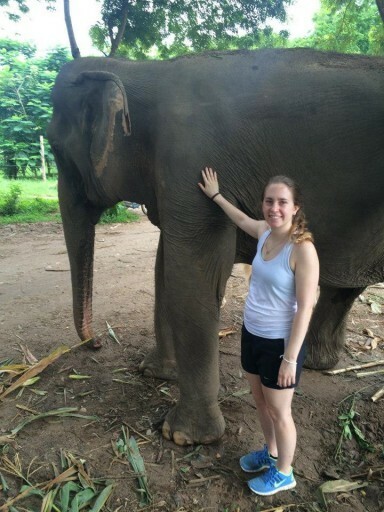 "I got to do hands-on veterinary medicine — stuff vet students don’t get to do until a year in — on dogs, cats and elephants." 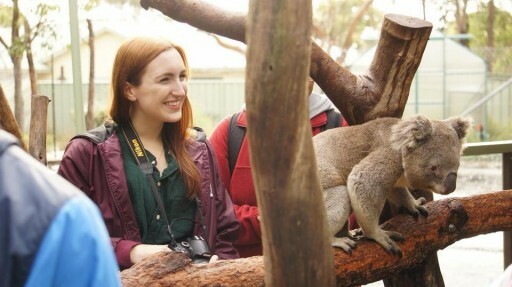 "Even though the cultural differences between the U.S. and Australia aren’t extreme, I think it’s important to understand that not everyone grows up the same way you did." "The experience was fascinating and it opened my eyes to understand that this is what I have to do." "My passion has always been animals. 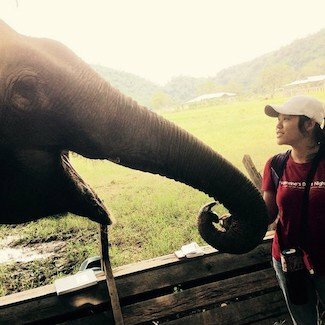 I had to face many fears to go after my dream of studying Veterinary." 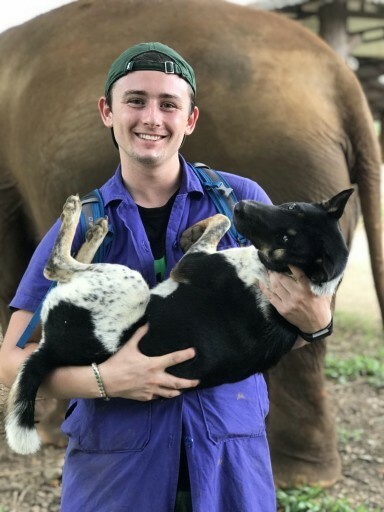 "Having the opportunity to work alongside a veterinarian to treat cats, dogs, and Asian elephants has truly been a once in a lifetime experience." 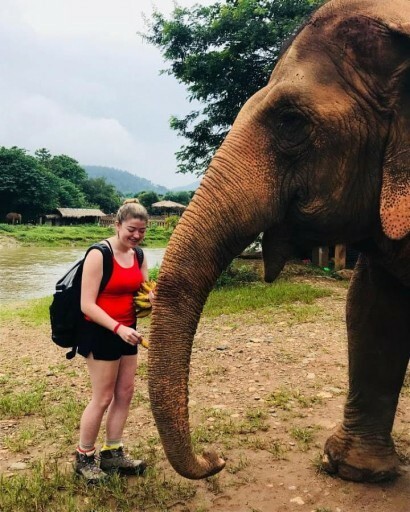 "The entire Loop Abroad experience gave Jodi a sense of purpose -- she has applied to Arizona State University to continue her education in wildlife biology -- and a new worldview." 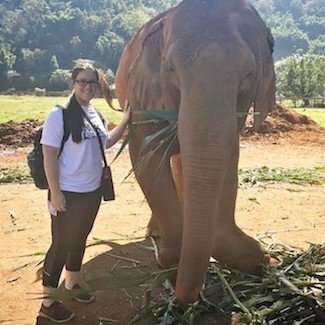 "Caring for the elephants while also respecting their space and previous trauma was a unique experience that I would not have been able to experience anywhere else." "I’ve learned so much from this. 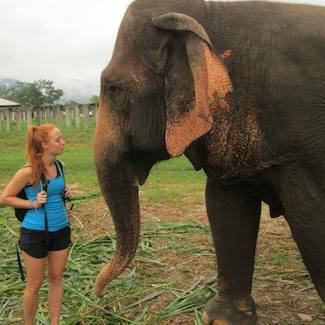 Working so closely with elephants was a life changing experience. 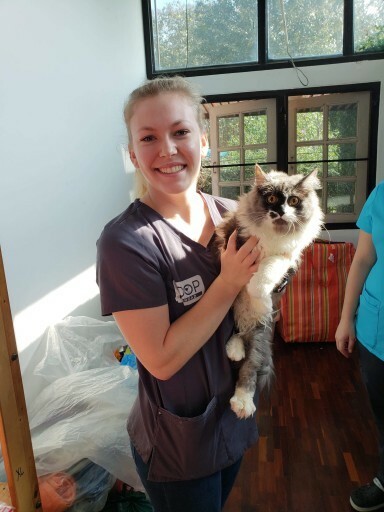 I got unbelievable veterinary experience." 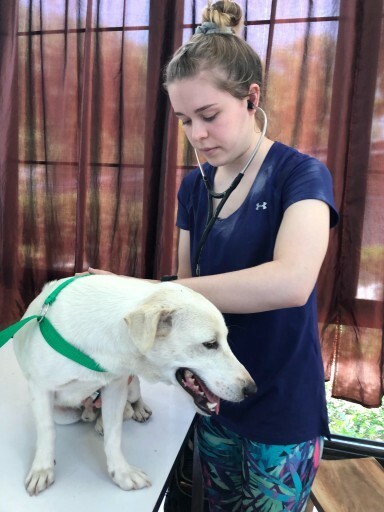 "After that, Francis practiced her veterinary skills closer to home, at One Health, in Wilmington, Delaware." 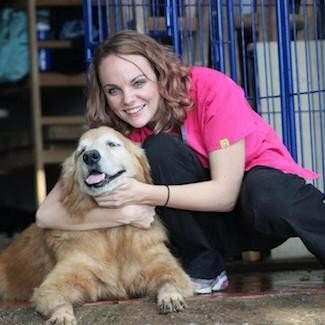 "Getting into vet school is competitive. I needed to get as many different experiences as possible so I could stand out. Veterinarian schools have low acceptance rates." 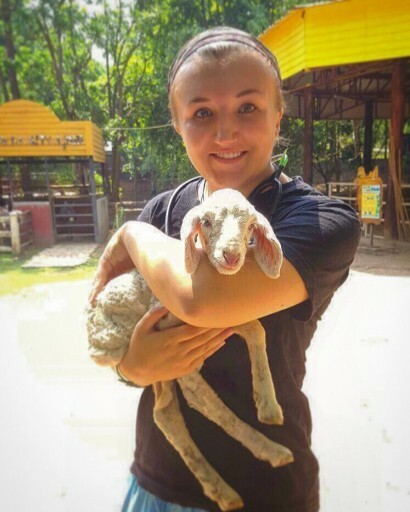 "Texas A&M University students published a blog regarding their exciting experience abroad in Thailand!" 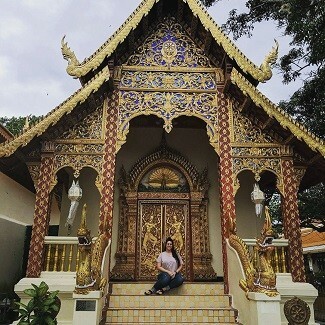 "Although I only got to experience Chiang Mai and its surrounding areas, everyone that I ran into there was so kind and funny, and had a positive radiance to them." 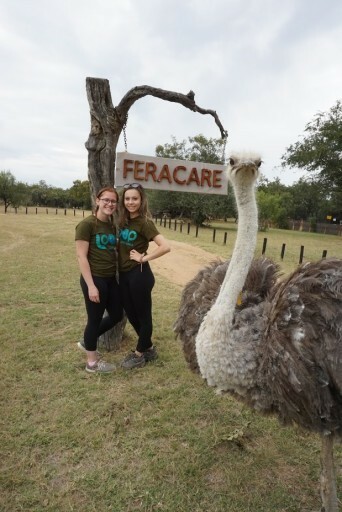 "Though Feracare specializes in the care and maintenance of South Africa’s cheetah population, they do have other big cats on site. Hein helped with one lion named Halo who was paralyzed after pinching a nerve in her spine." 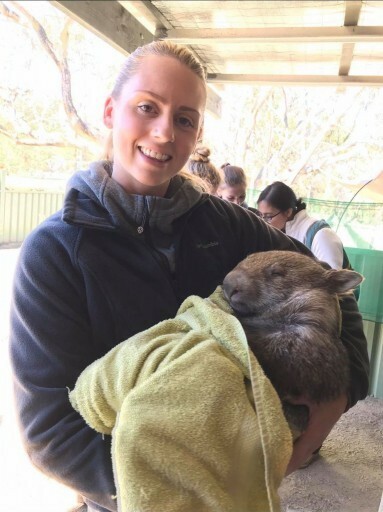 "I’ve always liked animals, so going there and seeing what other people were doing with different animals just confirmed that’s what I want to do." 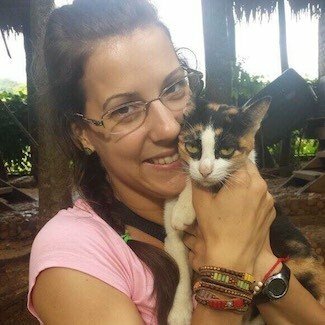 "Being able to provide medical attention to cats, dogs and elephants has been the most rewarding experience I have ever partaken in. Helping others, especially animals who can’t help themselves, is a great passion of mine." 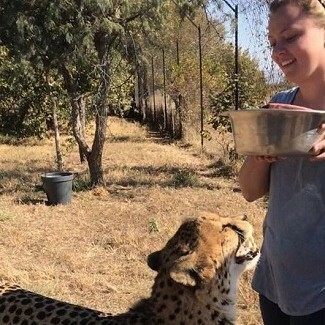 "They have a bunch of animals there that they've rescued from bad situations, and they're trying to educate the communities across South Africa about conservation. 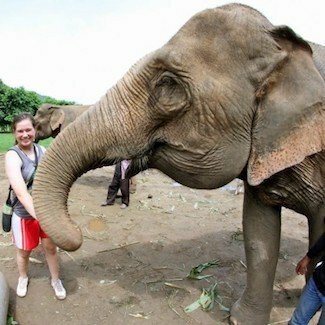 They try to keep them as wild as possible, they're not trying to make it a tourist attraction. They just need help." 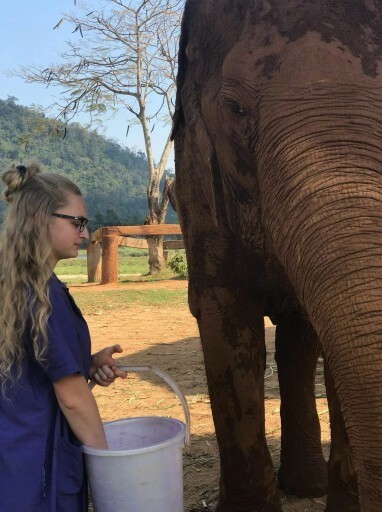 "Brooklyn helped to feed and care for elephants, as well as learn about their diagnoses alongside an elephant vet." 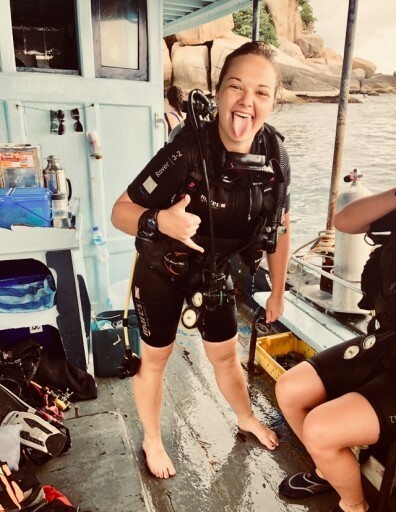 "Our group was given the opportunity to partake in an ecological monitoring program in Koh Tao. 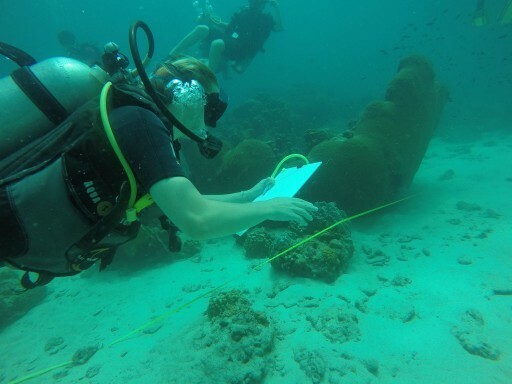 Even if we were just certified Open Water Divers, we had the chance to help out Advanced Divers! Not many people are given that chance, and the fact that we could learn, observe and help make a difference really meant a lot to me!" 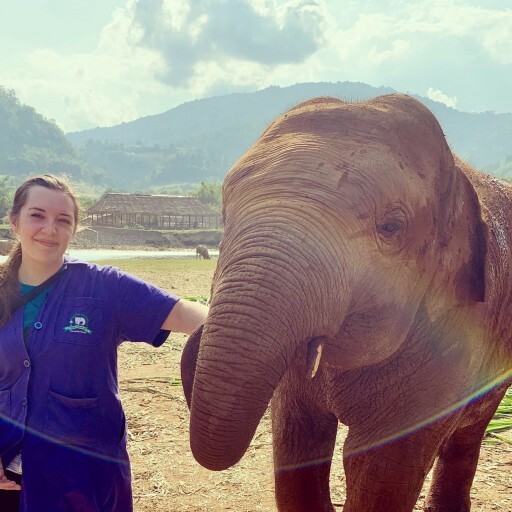 "Taking part in spay/neuter surgeries and getting to shadow an elephant vet were amazing experiences I wouldn’t be able to have in many other places." "This was a once in a lifetime opportunity, and it was so fun and educational." 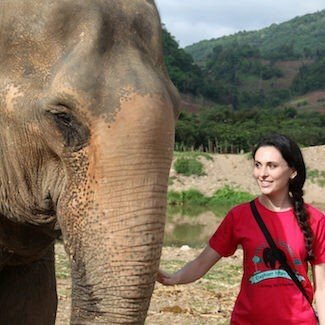 "Being able to help the dogs and elephants face to face, and live among them, made me feel like I was genuinely making the world a better place." 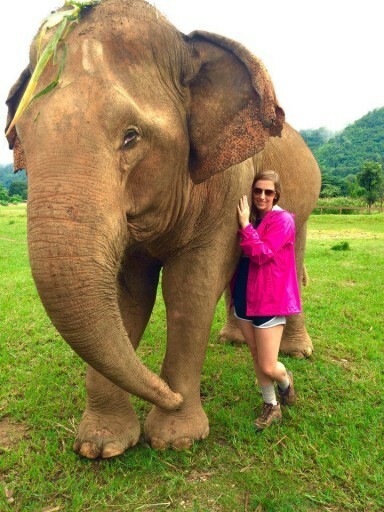 "Not only did I get to explore Thailand, but I learned so much about veterinary medicine." 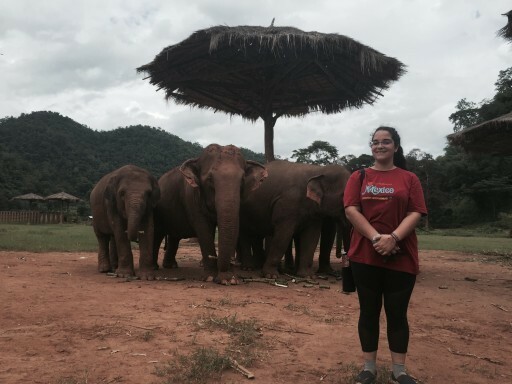 "Getting to work with elephants is a once in a lifetime experience I will never forget." 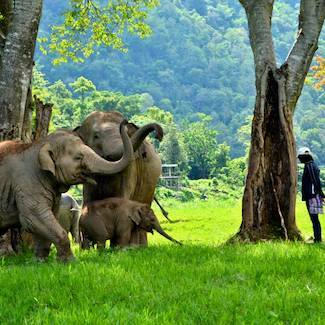 "I wish I had the words to describe to you how amazing that place (Elephant Nature Park) is. 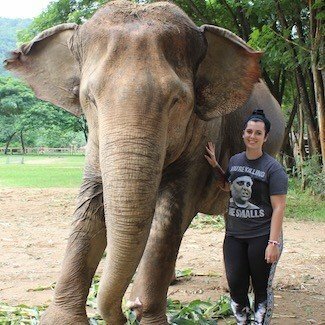 What they stand for and believe in is inspiring, and how they love and care for those animals is what I strive to do someday." 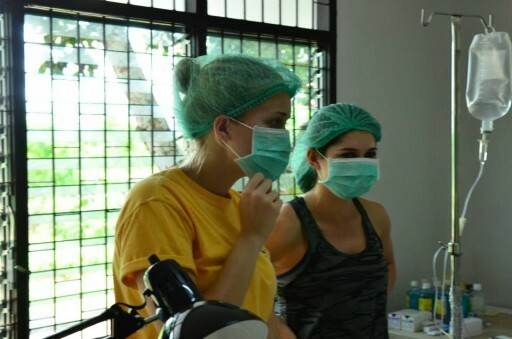 "It was such an amazing experience getting to aid in surgery, learn catheter placement, draw blood and perform a diet study on an elephant." 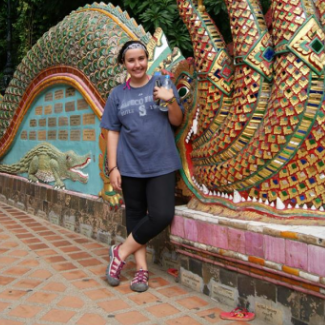 "The knowledge and beauty I experienced in Thailand was expansive and unforgettable." 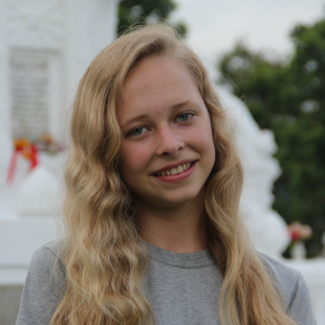 "I’m so motivated to share my observations and my experience with others about animal welfare. My trip definitely changed my life." 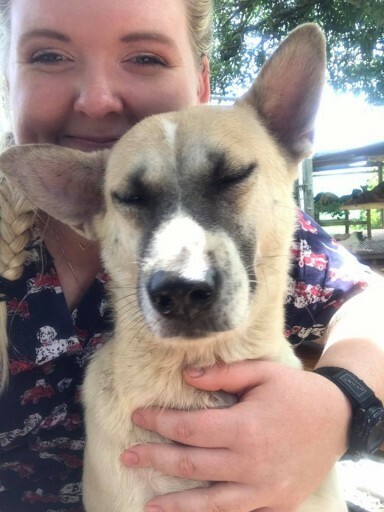 "Volunteering with elephants, dogs and cats was incredibly rewarding, and I am so grateful to have been part of this program." 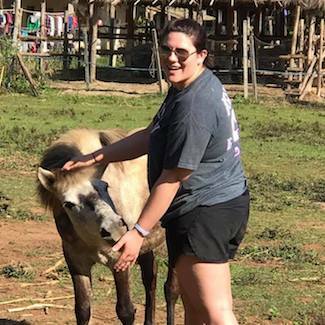 Iowa Wesleyan University serves as the School of Record for Loop Abroad, allowing Loop Abroad students to get college credit for their participation in Loop Abroad programs. 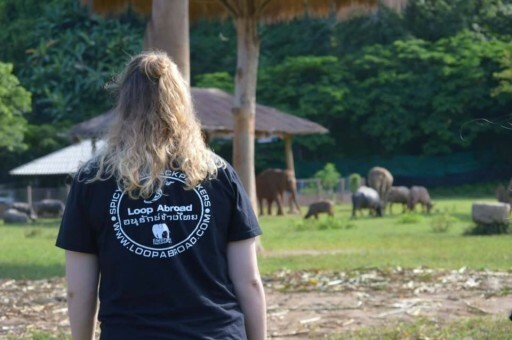 "Loop Abroad, under the dynamic leadership of Addam and Jane Stine, who built the program in Thailand, also offer opportunities in Australia and South Africa. 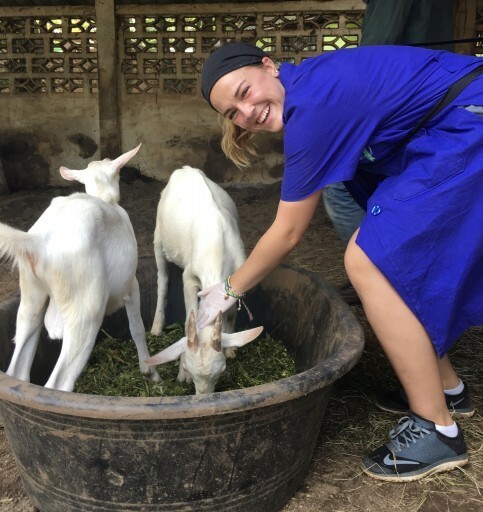 The program will not only offer Iowa Wesleyan students the unique opportunity to be involved in pre-veterinarian studies as undergraduates, but will give them a unique cross-cultural experience in another world region. 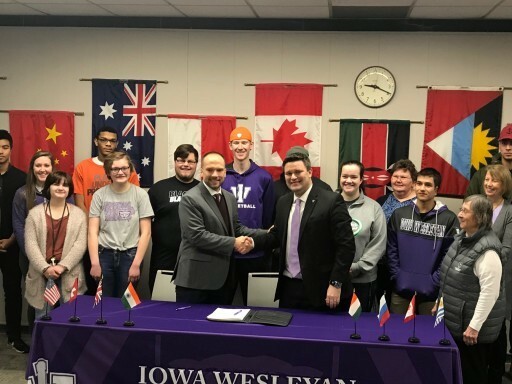 As a school of record, Iowa Wesleyan gets to make education possible for students around the United States. 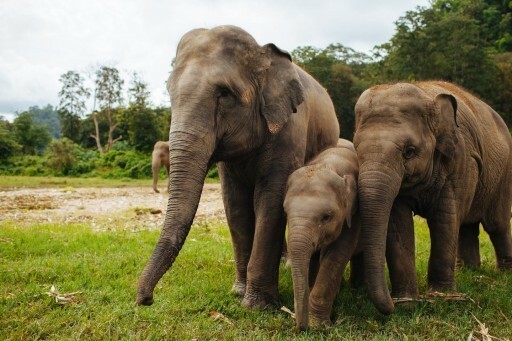 We are delighted about this partnership and look forward to seeing the potential continue to flourish.”"
"We got to clean the wounds of elephants that had stepped on landmines." 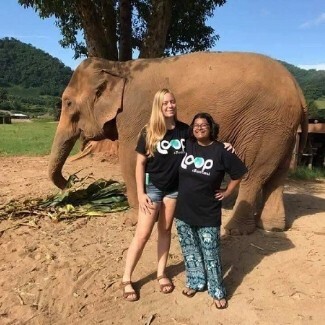 "If given the opportunity, Isernia said she’d jump on the chance to travel with Loop Abroad again and help even more species." 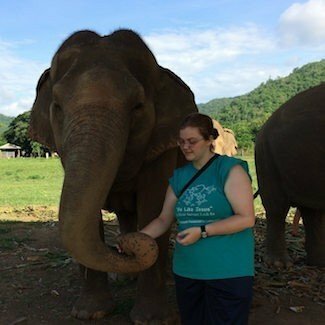 "Both programs prepared me by teaching me how to work with animals of all kinds and teaching me about veterinary medicine." “Our students are some of the most amazing people I have ever met," Jane Stine, the program’s managing director said. 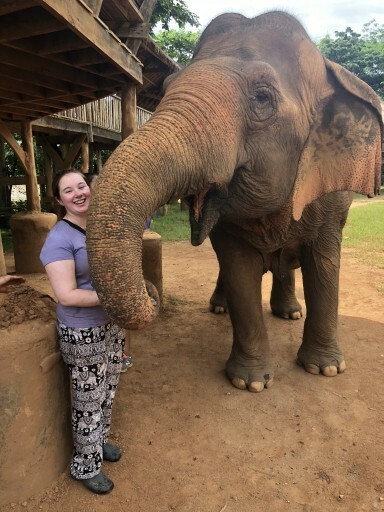 “It was great because all the people I worked with were very passionate and genuine for their love for elephants, which I could relate to,” she said. 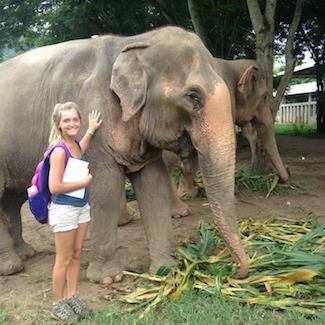 "Thailand is a magical place, and I learned so much about my career path. I would do this again in a heartbeat!" "The people were amazing there. 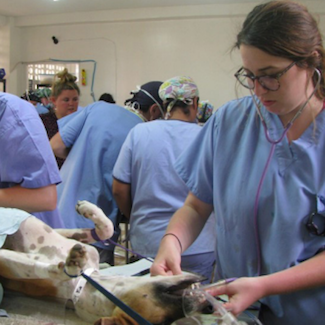 The veterinarians there were so dedicated to letting us have as much hands-on opportunities as possible." “Loop was truly amazing. 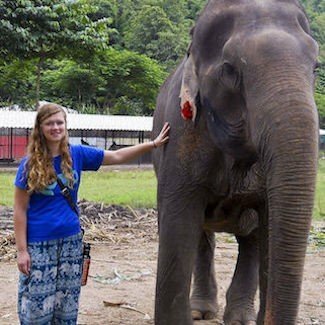 I never imagined living among elephants and impacting the world by just coming on one trip. I hope to one day return." "We tossed the ball in there just for the sake of it and she went crazy for it, She ran around kicking it, passing it back and forth between us. She absolutely loved it." 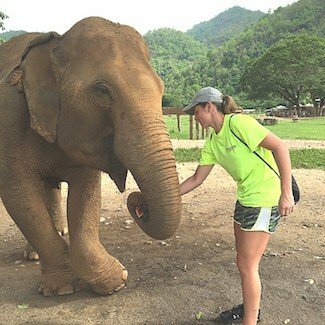 "Spending part of my summer in beautiful Thailand has made my love for veterinary medicine even stronger." 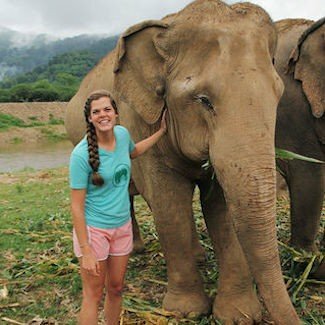 "I never thought I could learn as much as I did during my time in Thailand, and I will definitely be coming back," said Robinson. 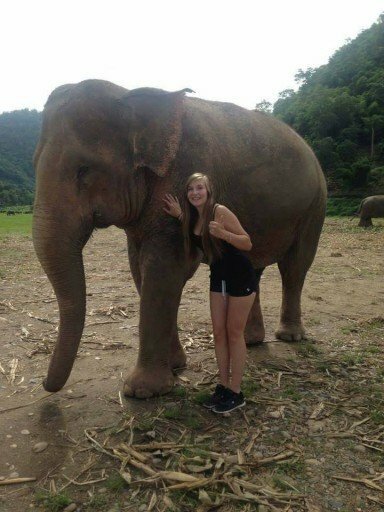 "It truly was an experience of a lifetime." 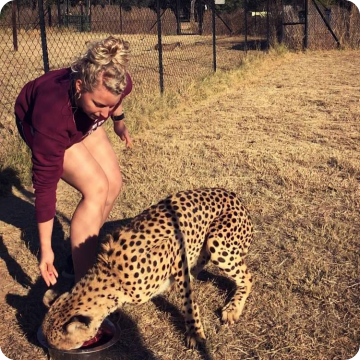 "We provided care for the animals at the wildlife centre, including feeding the cheetahs and helping to provide enrichment for them." 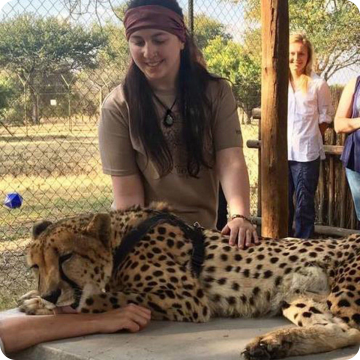 "I got to interact with the ambassador cheetah named Nova, a porcupine, an ostrich, a zebra named Pajamas and a few other animals." 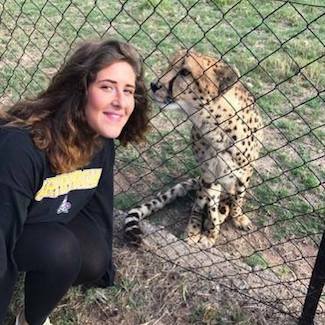 "On a regular basis, we encountered wild horses, ostriches, a zebra names Pajamas, a mule names Hercules, and of course the many cheetahs on site." 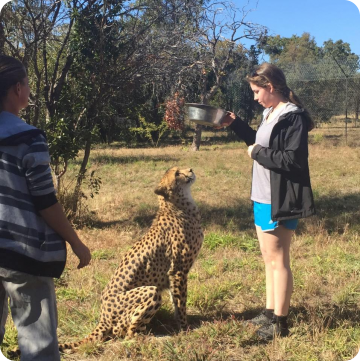 “'Being up close to these animals, whether it was feeding the cheetahs at the wildlife center or watching wild animals on safari, was a life-changing experience." "If given a choice of trying something new, I've always gone for it. If I fail, hey, at least I gave it a shot." 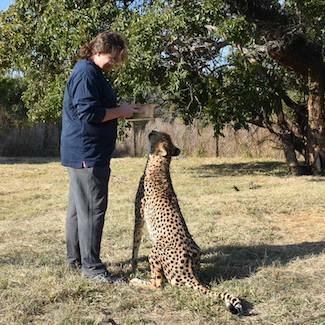 "Smith and her team took a course in the anatomy, behavior, and conservation of big cats." "This trip has made me a better person and given me many tools to take with me on the path to my profession. We learned techniques for structuring and physical examinations." 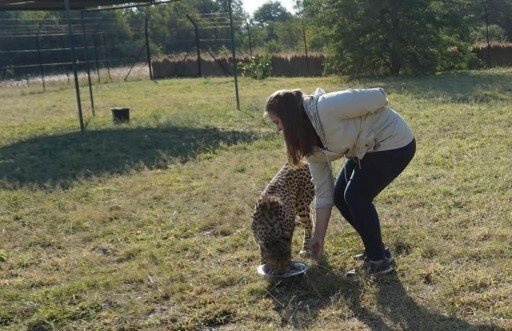 "Ardemani and her team provided care for the animals at the wildlife centre, including feeding the cheetahs and helping to provide enrichment for them." 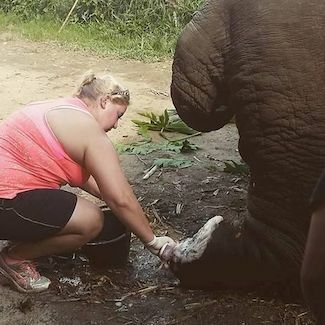 "Some of the older elephants have trouble kneeling down in the river to wash themselves, so we grabbed some buckets and helped them cool off while they were eating a basket of watermelons." 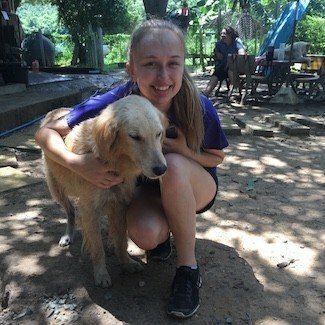 “I went to Thailand to receive education and hands- on experience that I could not have gotten here in the United States because of limitations. The program I was in is called ‘Loop Abroad.’ They have many programs that teach various subjects." 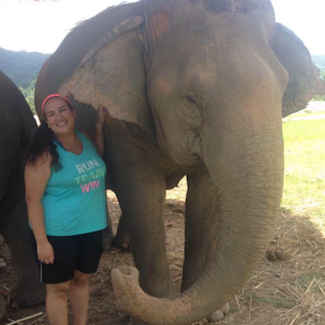 Jennifer Colangelo is a junior at Becker who spent two weeks in Thailand with Loop Abroad. 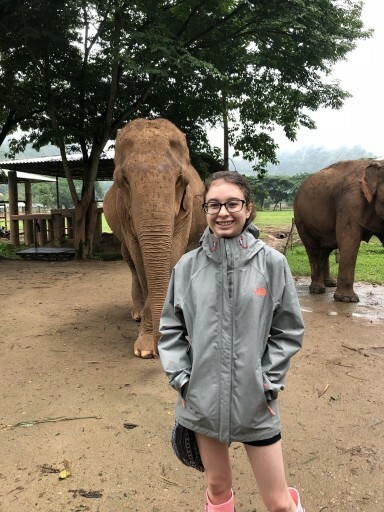 “For a week we worked with dogs and cats, and during the second week we worked at an elephant sanctuary.” Colangelo was with four other Becker students learning clinical skills for their future. "Cleaning feet and swabbing ears may not be how many college students envision spending their summers. But for Stephanie Rubino, it was a dream come true." 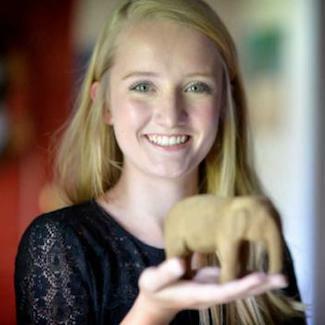 "It might have been while Claire Hilton was applying salve to a wound on the skin of an elephant that the 16-year-old realized she found her life’s calling." 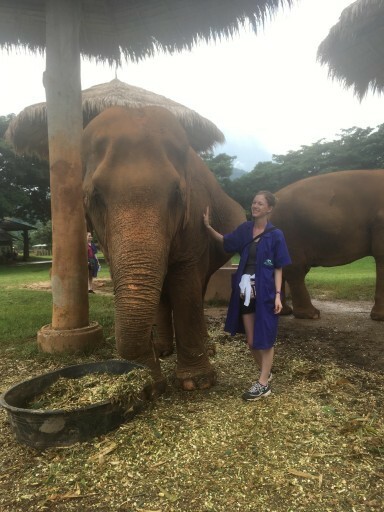 "My experiences in Thailand, particularly working with Taichoon, made me want to give back to my community, country and people all over the world." “It’s been my dream forever,” the 16-year-old said. 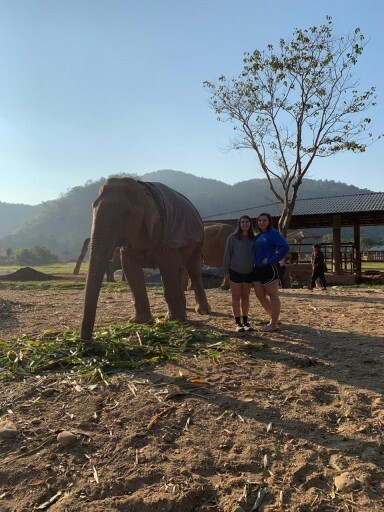 After spending two weeks in Thailand learning hands-on what it’s like to be a veterinarian, Zong said she’s confident that she will want to take care of animals for the rest of her life. 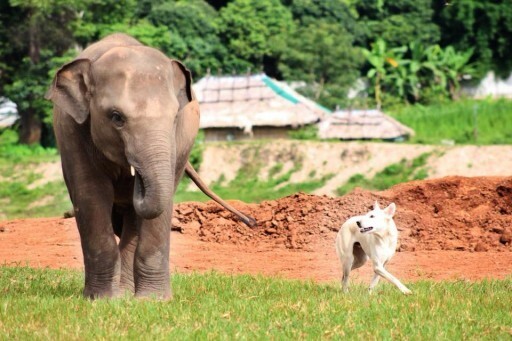 "They say that an elephant never forgets. 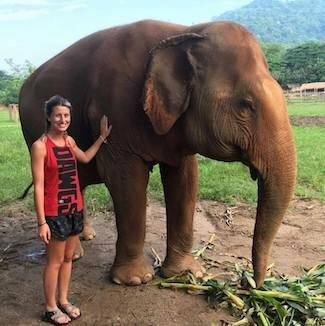 If that’s the case, there’s a couple elephants in Thailand that will never forget McKenzie Beals." 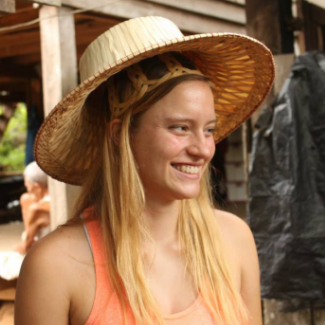 “The trip was about becoming a more worldly person and figuring out what kind of career you wanted,” Parker said. "Despite the shock, Osborn said that it’s important to appreciate every culture’s differences. “It’s a completely different culture. 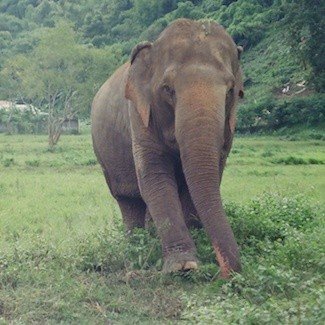 Even though you do something differently, doesn’t mean it’s wrong.”"
“I love elephants, so for me to have a chance to go there, I mean, I’ve always wanted to do that. 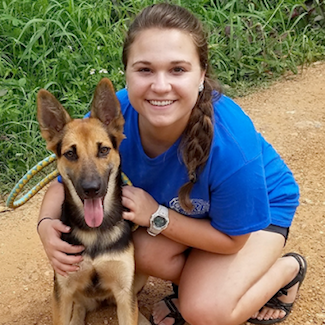 It’s kind of like a bucket list thing for me,” said Muehl, a 21-year-old animal science major with a pre-vet emphasis." 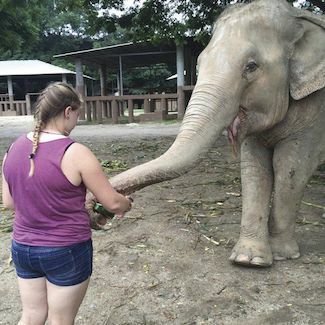 “I’ve loved elephants since I was a little kid," she said. 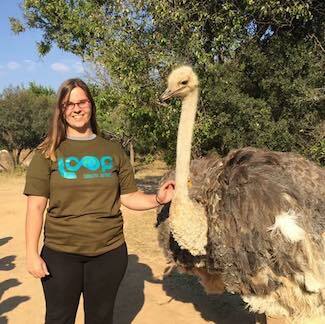 "It (Loop Abroad page) popped up on my Facebook because one of my friends tagged me in it. 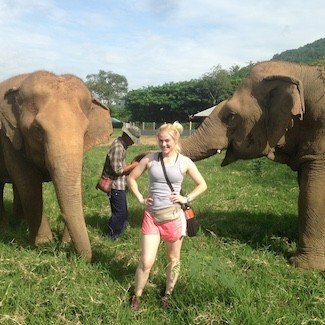 It was all oriented around the elephants helping them and helping kids in the local villages. I love that type of stuff, and I love animals." 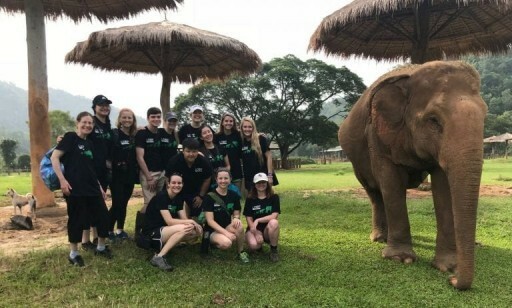 "Save Elephant Foundation has been working with Loop Abroad for over three years, bringing students interested in animal sciences to observe the elephants at Elephant Nature Park and gain an idea of what it is like to work in the field." 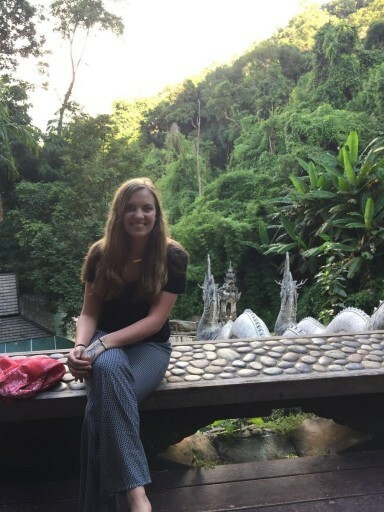 Last April, Hannah van Severen texted her mother at 5 a.m. to announce she had found her calling. 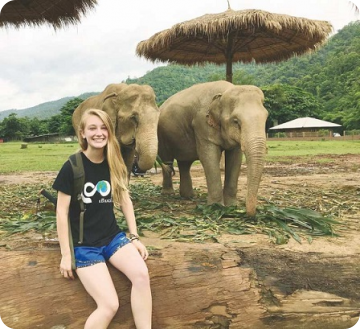 “I've always loved elephants and always loved traveling so when I saw this ad on Facebook, I knew it was exactly everything I've always wanted to do,” van Severen said. 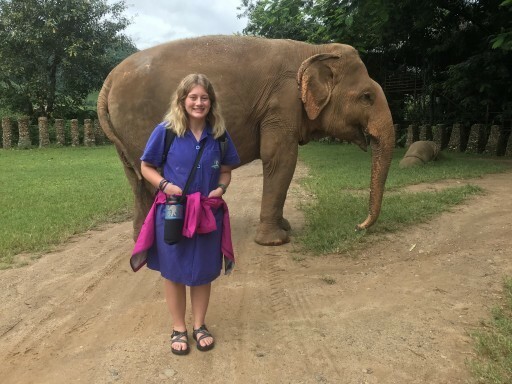 "A one-week encounter made a lasting impression that set the 23-year-old nursing student on a new course. 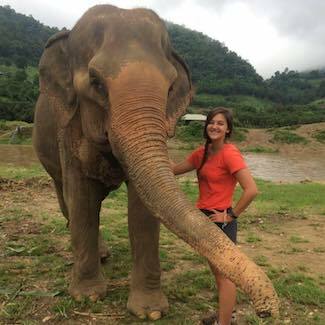 After she graduates from UL Lafayette, Descant intends to return to rural Thailand to work as a nurse for a year." 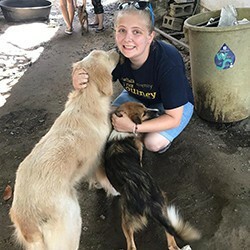 "Kokomo native Lindsey Fenton put her budding veterinary skills to use this summer helping rescued elephants, dogs and cats in Thailand." 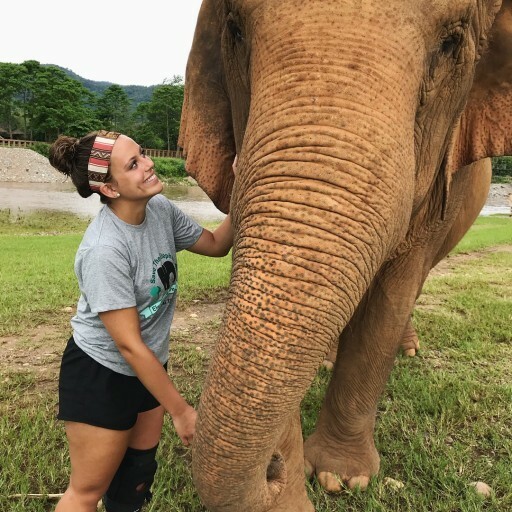 “I think my trip to Thailand has made me realize that what I really want to do with my career is spend time practicing international veterinary medicine. I think it would be an amazing opportunity and I’m excited to someday get to do this as my career." 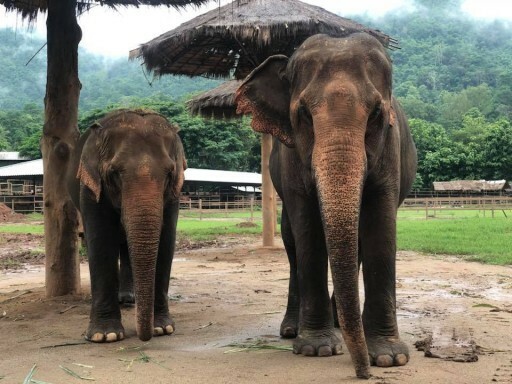 For one assignment, Lim had to monitor the diet of a 70-year-old elephant named Saza, who Lim said “acted like a cranky old lady." 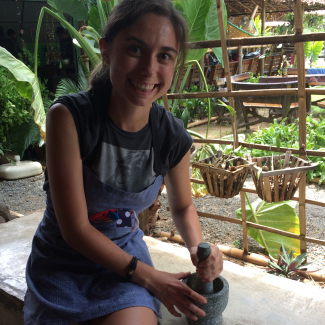 "For Allison Faust, hands-on job training is important — so much so that she went all the way to Thailand to get it." 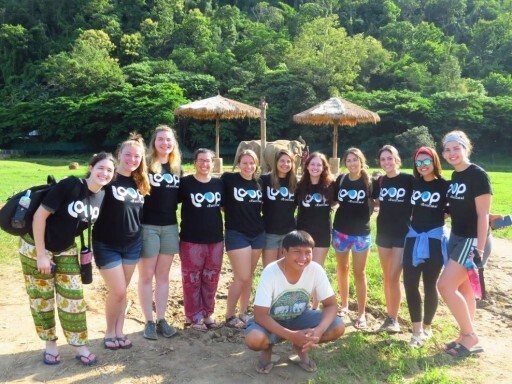 "This trip was a wonderful opportunity to experience and learn about another culture as well as learn about local and global issues and their working solution." 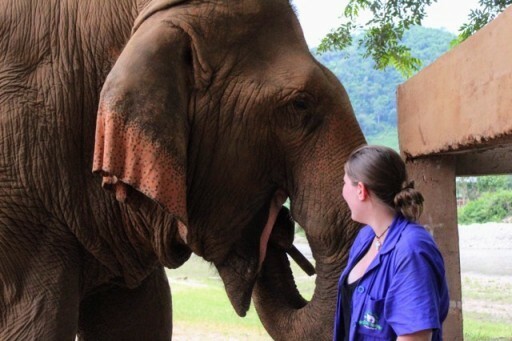 "I learned so much about exotic veterinary medicine as well as elephant husbandry," Radley wrote. "From this experience, I gained more confidence in myself since I stepped out of my comfort zone. 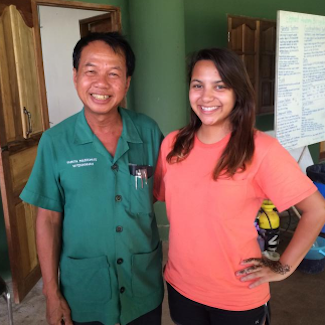 I also gained friends, veterinary knowledge and appreciation for another culture." 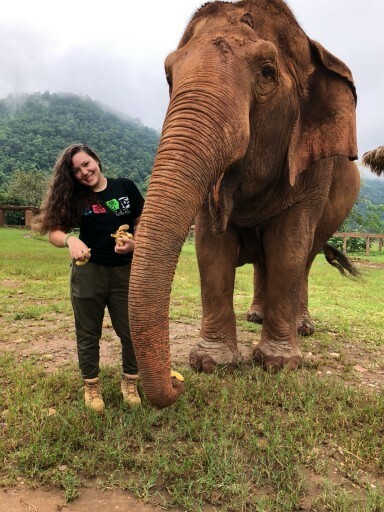 Jordan was part of a small team that volunteered giving care at a dog shelter and then spent a week working directly with rescued elephants at an elephant sanctuary. 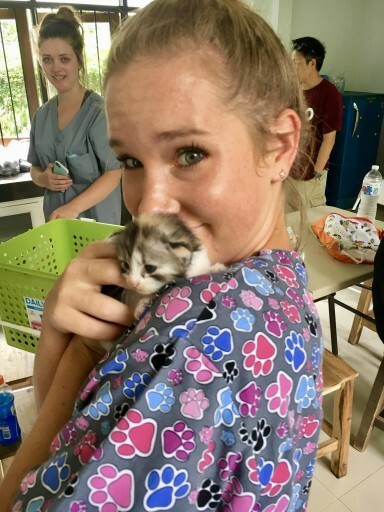 "This summer, nine students from Kansas State University's pre-veterinary club, spent two weeks in Thailand helping animals and learning hands-on what it's like to be a veterinarian." 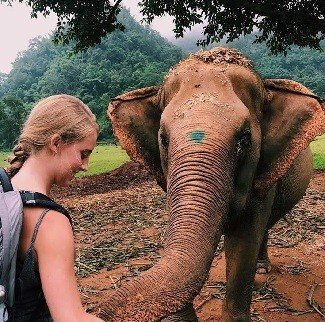 "The 17-year old took her first trip on an airplane, navigated New York City, traveled to Thailand and spent weeks caring for her favorite animal - the elephant." 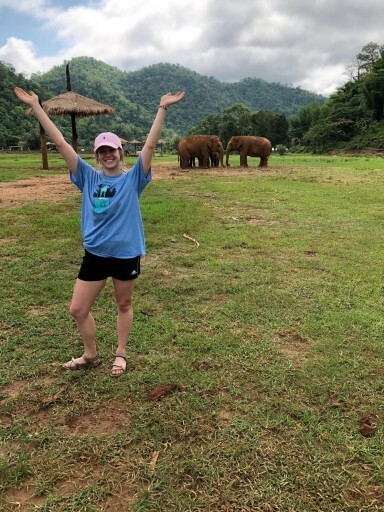 It is said, "an elephant never forgets.” It’s likely that Perry’s Megan Massey won’t be forgetting her experience with Loop Abroad this summer. "Ayanna said she walked away with a new perspective on life and a desire to educate herself on what else is going on in the world." 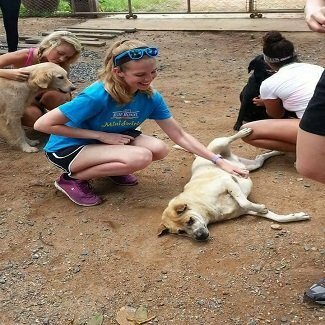 The opportunities that I was exposed to from neutering dogs to trying durian have made my trip so memorable. 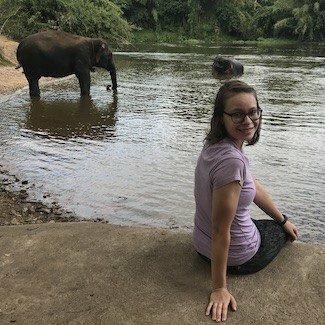 I don’t know any other place where I would be able to wake up in the morning and eat breakfast while watching elephants pass by the patio." 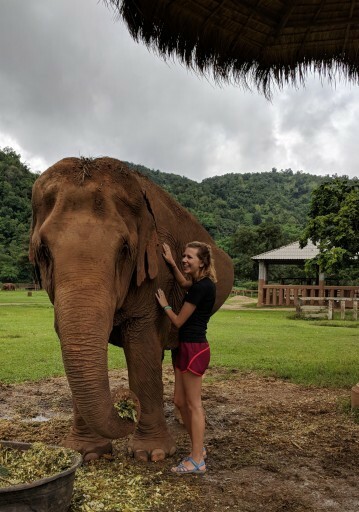 "After earning her associate degree in May 2015, Kyndale had the opportunity to participate in Loop Abroad, a hands-on summer abroad program in Thailand for students working with animals." 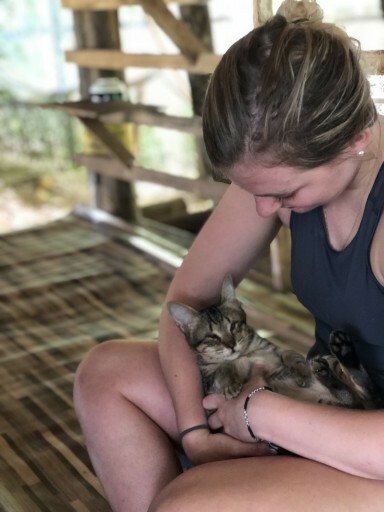 Kissing elephants, hugging tigers, operating on cats and dogs — these are interactions veterinary student Marisa Ciappetta of Upper Burrell could wait years to experience in the United States. 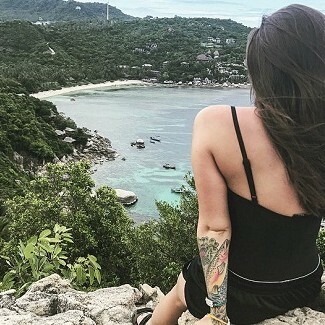 But she was able to do all of the above in Thailand over the summer. "I have never done something so hands on. 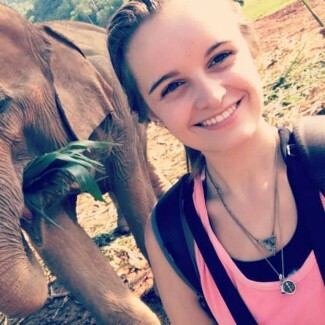 This really was a once in a lifetime trip," Foster said. "If you have the opportunity, you have to go." 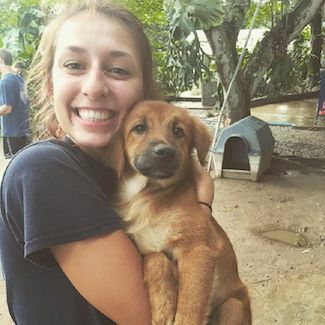 "Meeting amazing people from all over the world, this trip was absolutely amazing and something I’ll never forget." 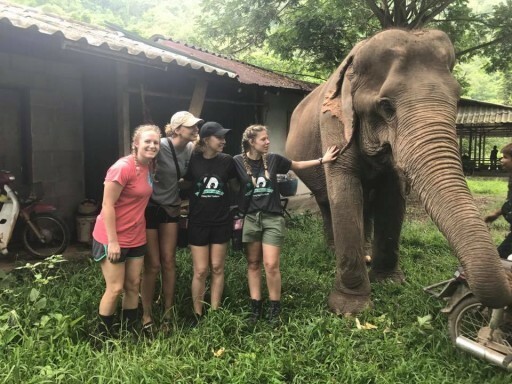 According to a release from the high school, "Traveling with the Boston-based Loop Abroad, Katherine was part of a six-person team that volunteered giving care at a dog shelter and then spent a week working directly with rescued elephants." 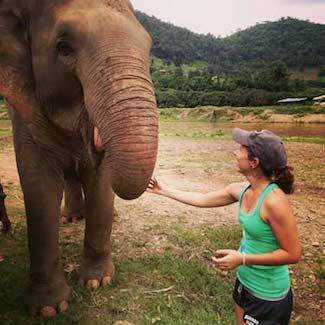 "The craziest thing about my week was that by the end of it, standing next to the elephants was almost second nature. 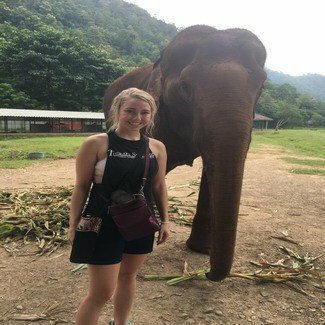 I highly recommend visiting the Elephant Nature Park if you are ever in Northern Thailand because it is a wonderful moment that will leave you speechless." 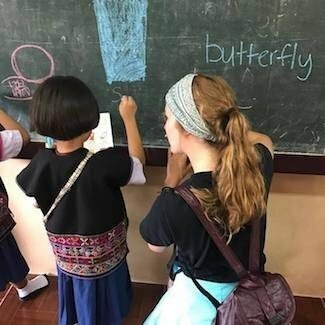 Teaching English, building a dam and painting a school were just some of the ways that Madison was able to help the village. 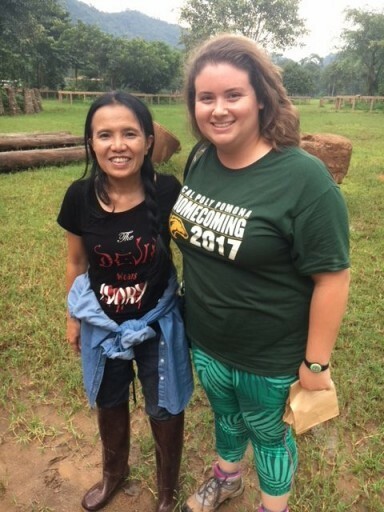 In return, she learned to plant rice and had plenty of time to get to know the children of Hoi Ya and share stories with them. 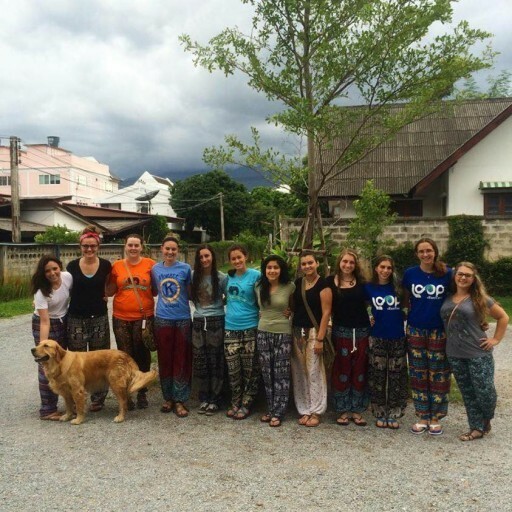 "Today we had the honour of receiving nine students and their four teachers from Loopabroad. 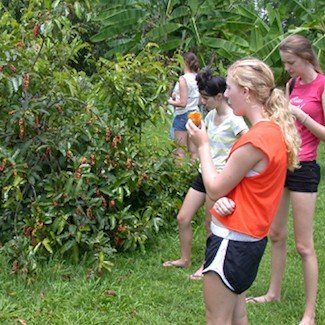 These American junior high school students focus on tropical ecology and they were particularly interested in the Orchid Ark." 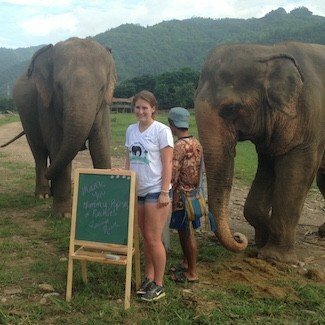 Write your own adventure in Thailand!